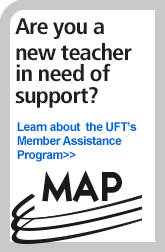 The UFT has offices in every borough where you can find experts — all fellow UFT members — to answer questions about salary, certification, educational and workplace issues, health and other benefits, safety, pension and more. Throughout the school year, each borough office also hosts many helpful workshops, conferences and meetings. Borough Representatives: Your borough representative (BR) is a union leader who coordinates all UFT activities in that borough. District Representatives: Your district representative (DR) is a union leader who works to resolve issues, usually raised by chapter leaders, that cannot be settled at the school level. You may meet your DR at your borough office, or perhaps your chapter leader will invite her or him into your school. 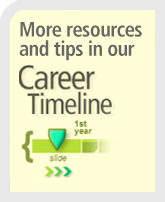 Salary representatives: These experts can help you with payroll issues or delays. Pension consultants: These skilled staffers can respond to your questions about the pension system. Educational liaisons: These helpful staffers can advise you about certification requirements and other classroom issues. Safety representatives: These staffers are specially trained to respond to incidents as well as environmental health and safety issues. Special representatives: Special representative are union representatives who have specialized expertise in topic such as payroll, personnel, grievance, political action, harassment, and professional conciliation. Each borough office has special representatives who visit schools and provide support to members. Central UFT has special representatives who provide support to our union officers as well as support to central departments. The Teacher Center headquarters and conference center, where there are many graduate-level classes, educational workshops and professional conferences. Union departments (including Political Action, Grievance, Safety and Just for Fun. Negotiate and enforce our contract. Deal with the school system, and city and state agencies. Assure that the UFT efficiently delivers services to you. Work to create public and political support to improve teaching and learning conditions in public schools. Fight to ensure that educators have a decent income, long-term economic security, and professional autonomy and fairness on the job. A sixth VP champions education issues and the seventh represents members who are not employees of the New York City Department of Education, such as educators in private or charter schools or hospital nurses.